PureCryo is a fantastic non-invasive alternative to liposuction that uses Cryolipolysis, a fat-freezing technology, to safely and effectively kill unwanted fat cells. No anaesthetic, needles or incisions are made. It is a completely safe non-invasive treatment. You will be ready to return to your regular routine right after treatment. 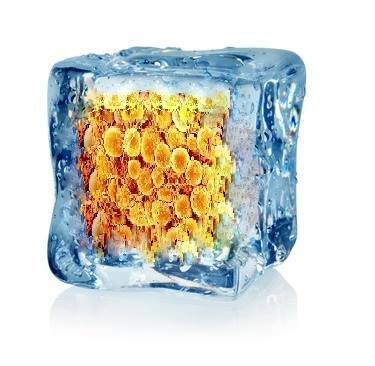 With targeted cooling, your fat is safely chilled to damage the fat cells without harming surrounding skin or tissue. During the weeks following your procedure, your body will naturally eliminate the damaged fat cells, leaving you looking slimmer! When you come in for your PureCryo treatment, we will place a protective gel, anti freeze membrane over the area that is to be treated. Once you are comfortable, the PureCryo device will use a combination of gentle vacuum pressure and deep cooling to treat the fat below the skin and freeze unwanted fat cells. For more information or to book in for a FREE consultation, contact us now.